FieldEngineer is designed to ensure that the process of procuring qualified freelance engineers is as straightforward as possible. By signing up and posting a work order, businesses can be quickly connected - via the advanced FieldEngineer algorithm - with the staff they need. Posting a work order is completely free, and businesses are also able to better manage the costs of their project thanks to the in-platform capabilities. In addition to connecting businesses to reliable IT engineers who have undergone full background checks, the FieldEngineer.com platform offers a range of additional services to ensure a comprehensive field service management solution. You will also be able to benefit from worker location tracking, worker assistance, worker order management, mobile payment processing, and more, all specifically designed to ensure your project proceeds as smoothly as possible. 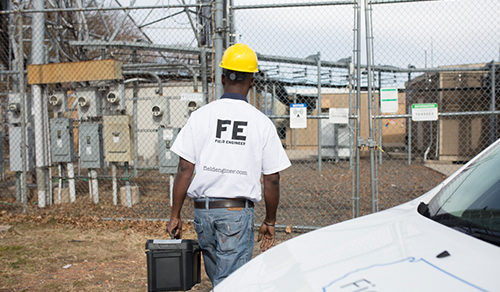 The FieldEngineer platform is suitable for all businesses seeking to improve their field service workforce, covering areas including: on-site installation services, rack and stack, router and switch installation, firewall deployment, and more besides. All you need to do in order to access the FieldEngineer pool of freelancers is sign up for an account, post your job description, and let the algorithm show potential matches. From there, you can plan your project with ease, continue to utilize the intuitively-designed platform to ensure effective management until each project reaches its conclusion. Sign up today to experience FieldEngineer.com’s incredible platform for your business!